Home samsung galaxy s9 Samsung Galaxy S9 vs Samsung Galaxy S8: should you upgrade? Samsung Galaxy S9 vs Samsung Galaxy S8: should you upgrade? Samsung just launched its latest flagship the Samsung Galaxy S9, but did Samsung made it different from last years flagship? Apple took a giant stride forward with the iPhone X towards the end of 2017, so all eyes are now on Samsung to see if it can make a similarly bold statement with the Samsung Galaxy S9. While it doesn’t appear to demonstrate the same bold spirit of reinvention, however, there’s still plenty of scope for subtle advancement over the Galaxy S8. At first glance, the Samsung Galaxy S9 and the Samsung Galaxy S8 look nigh-on identical. It’s certainly true that Samsung’s new phone adopts the same visual language as its predecessor, with an almost bezel-free dual-curved display and a similarly sleek glass back. There are a couple of key changes, however. The Galaxy S9 is slightly shorter and thicker than the S8, though we’re only talking a millimetre and half a millimetre respectively. The newer phone is also 8 grams heavier. But the biggest design change here is the relocation of the fingerprint sensor. It’s still on the back, but after the S8 was criticised for placing the sensor alongside the camera array, the S9 has shifted it to a much more natural position below the camera. One subtle but potentially meaningful difference is the provision of stereo speakers for the new Galaxy S9 - the first time Samsung has included such a feature in the S range. The other key visual difference is the available colour options. 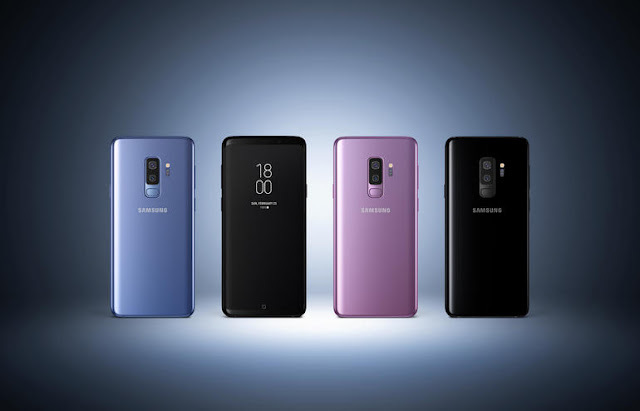 The Samsung Galaxy S9 will be available in midnight black, coral blue and lilac pink, while some countries will also get a titanium grey option. Over the past year, meanwhile, the Galaxy S8 has been made available across various territories in Midnight Black, Orchid Grey, Arctic Silver, Coral Blue, Maple Gold, Rose Pink, and Burgundy Red. It remains to be seen whether the 5.8-inch QHD Super AMOLED display in the Galaxy S9 is meaningfully different from that of the Samsung Galaxy S8. On paper, they appear to be identical. Both have the same curved edges, the same stretched out 18.5:9 aspect ratio, and the exact same 570ppi pixel density. Indeed, the language Samsung uses in the Galaxy S9 press release seems to suggest that this is the same basic component. This wouldn’t necessarily be a bad thing, of course. Samsung famously makes the best displays in the business, and until the iPhone X no other phone could rival the Samsung Galaxy S8 display for sheer quality. As you’d expect, Samsung is upping the game with the Galaxy S9’s processing power. We don’t know exactly how powerful the phone’s custom Exynos 9810 chip will be, but it’s likely to provide the usual generational leap over the Galaxy S8’s Exynos 8895. There’s to be no bump up in memory allowance, however, with both phones running on 4GB of RAM. This seems to be plenty to run all the latest apps and tasks, though it’s worth noting that for the first time the larger ‘Plus’ model will get an extra 2GB. The camera setup for the Samsung Galaxy S9 initially looks the same as the S8 - a 12-megapixel rear camera and an 8-megapixel front-facing camera in both instances. However, Samsung has added an intriguing new feature to the rear camera of the S9. It’s the first smartphone to employ a variable aperture. The camera can automatically switch between an f/1.5 and an f/2.4 setting depending on the lighting conditions. In particular, f/1.5 is just about the widest aperture we’ve ever seen on a smartphone camera, so we’re expecting stellar low-light performance from the Galaxy S9 - especially given that the Galaxy S8 was already one of the best examples with its f/1.7 aperture. The Galaxy S9 also sports an interesting new video recording feature that its predecessor doesn’t have - super slow-mo 960 fps recording at 720p. By way of a comparison, the Galaxy S8 can only manage 240 fps at the same resolution. These super slo-mo videos can only cover 0.2 seconds of real-time action, which translates to six seconds of playback time. But Samsung has included a motion detection function that automatically starts recording when it detects fast movement. 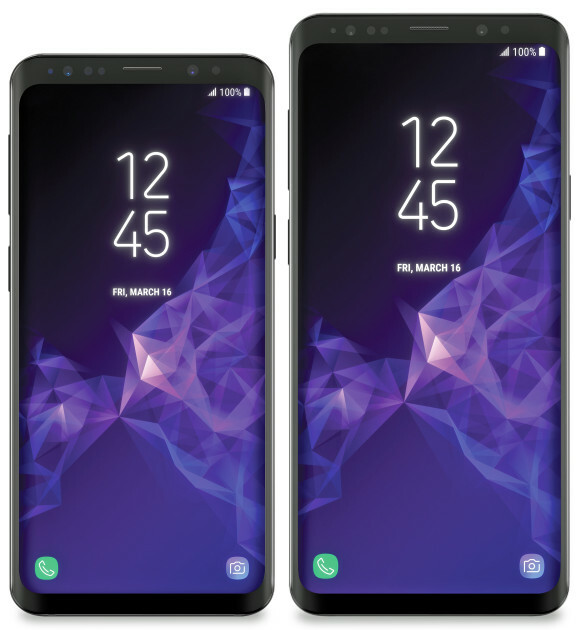 Both the Samsung Galaxy S9 and the Galaxy S8 feature 3,000 mAh batteries, which should make for roughly equivalent stamina figures - particularly given the apparent similarity of the display technology. Samsung leads the field in wireless charging support too, with both phones supporting the PMA and WPC (aka Qi) standards. In a similar vein, both phones come with 64GB of internal storage. That said, the Galaxy S9’s microSD slot can take cards of up to 400GB in capacity, which is an improvement on the Galaxy S8’s 256GB. The Galaxy S9 and S8 both support the usual Wi-Fi, 3G, 4G, Bluetooth 5.0 and NFC connectivity options. It’s worth noting that the Galaxy S9 can support 1.2Gbps LTE download speeds where available. The Samsung Galaxy S9 is available to pre-order now until March 11,2018. The 64GB standard model will cost Php 45,990 with free wireless charger and case if you pre-order. Samsung appears to have played it safe with the design of the Samsung Galaxy S9. Initial impressions suggest a phone that’s very similar to the Galaxy S8, with a familiar look, display, and camera. However, there are thoughtful enhancements throughout, including a repositioned fingerprint sensor and a quietly pioneering dual-aperture camera. We’re expecting the Galaxy S9 camera to be an absolute star in low-light conditions, which is where most phones struggle.